Experiences 1 day exciting trip. 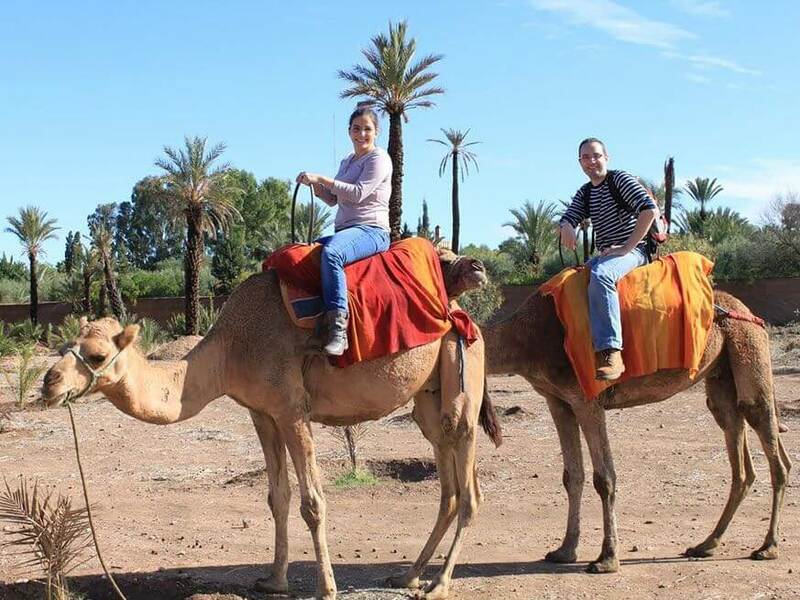 Explore Marrakech green palm groves from the back of a camel. Pick up from your hotel and drive to Palmerai and drop off at your hotel. 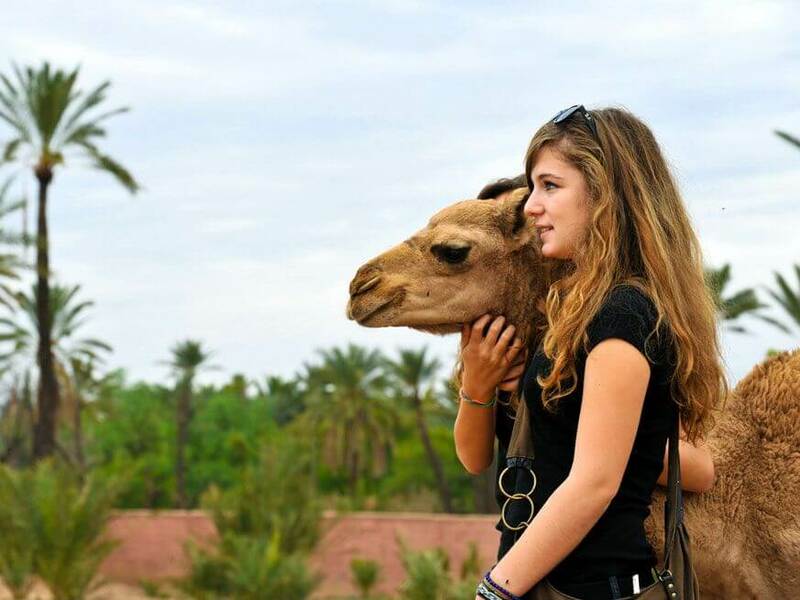 This excursion is to experience the camel riding at Marrakech Palmerai. 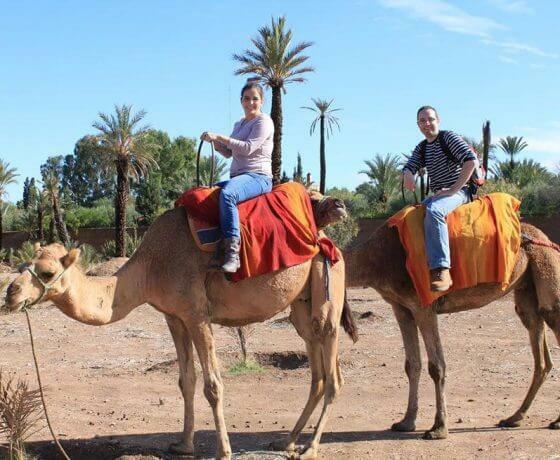 When you visit Morocco, you should try your hand at riding on a camel. 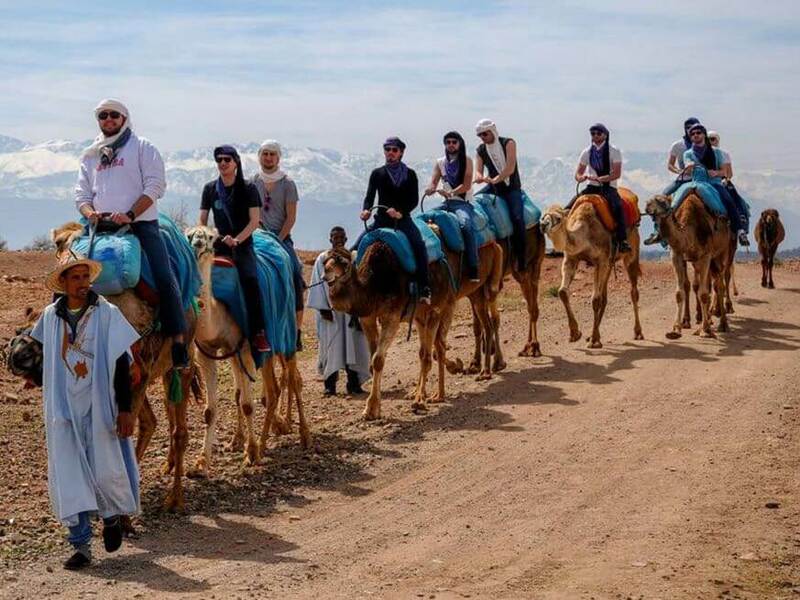 This trip just outside the city is ideal for those who wish to ride a camel but don’t have the time to go off on a desert tour for three or four days, where camel ride to the Berber camps are routine. 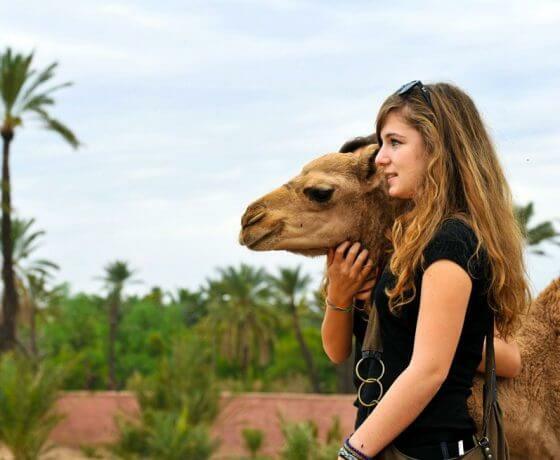 On this tour we will pick you up from your hostel or hotel and take you on a two hour camel ride in the Marrakech Palmerai – and area of outstanding natural beauty, known to be a true oasis in the desert. 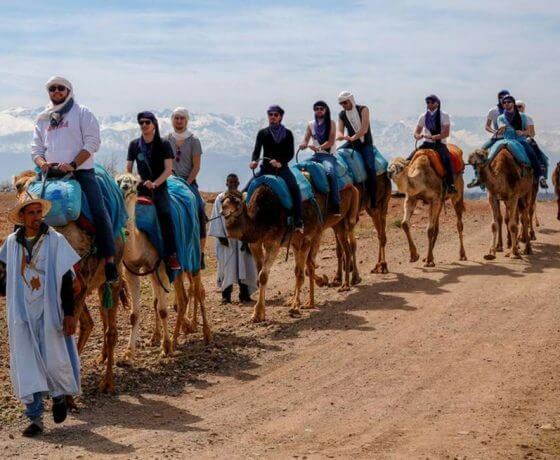 You will ride through spectacular scenery that includes palm trees, desert sands, a real oasis and a backdrop that will feature the snow-capped mountain tops of the High Atlas region. There are many local villages that we will ride through and your two hour ride will include a break where we will sample some mint tea. 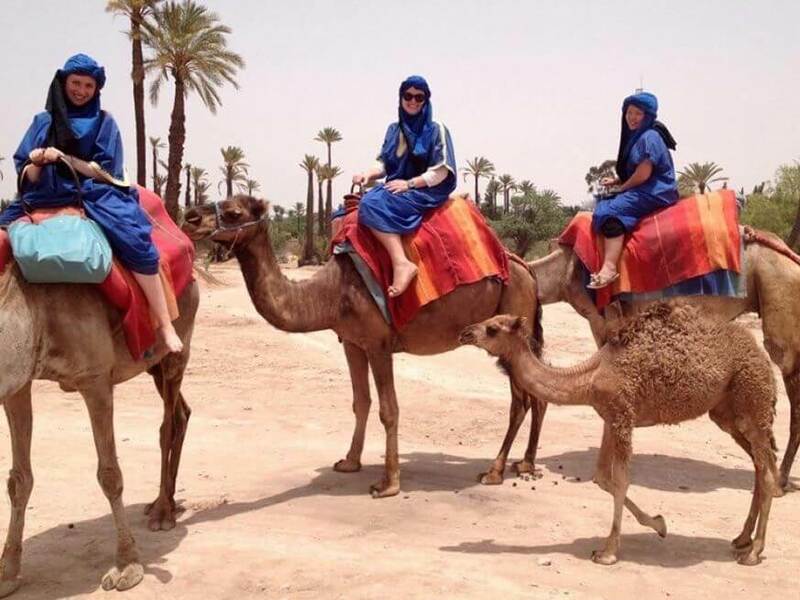 You are advised to bring along your own water bottle on this camel ride experience and a sun hat and sunblock is also advisory as the heat of the summer can see the temperatures regularly getting up to the 100F mark (38c). 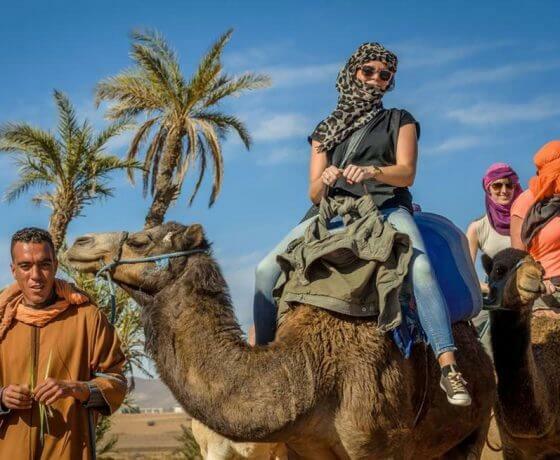 On this camel riding experience there will be plenty of opportunities for you to take some photographs of you riding through the desert oasis on your dromedary. 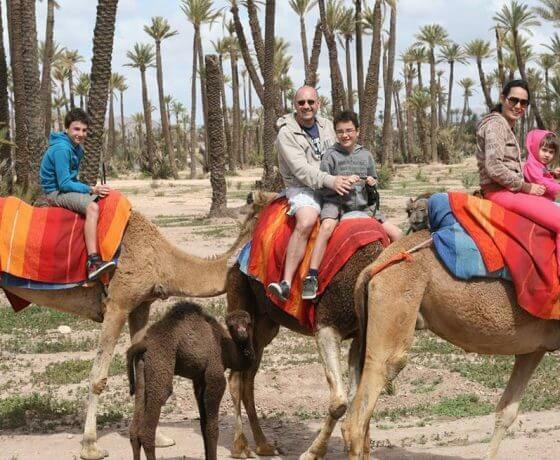 Included in this tour of the Marrakech Palmerai is a pick up from your hotel, drive to the Marrakech Palmerai, a two-hour long camel ride through an area of outstanding natural beauty, a break where you will be served mint tea and an opportunity to have your photo taken when you are riding on the camel. 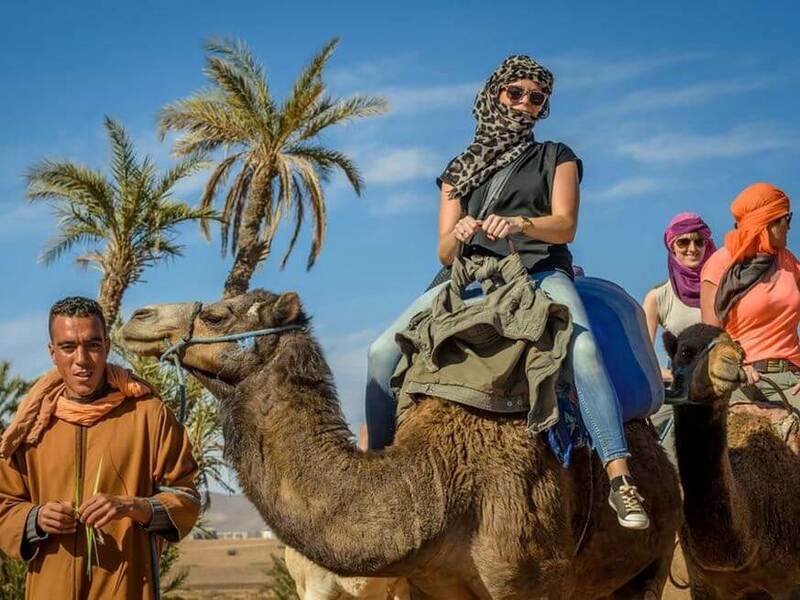 A professional camel guide will take you on this entire two-hour route around the oasis where we will walk through some fascinating old villages, elegant palm trees springing out from the desert sands and an atmosphere so relaxing and peaceful, you’ll want to do it all again the very next day. 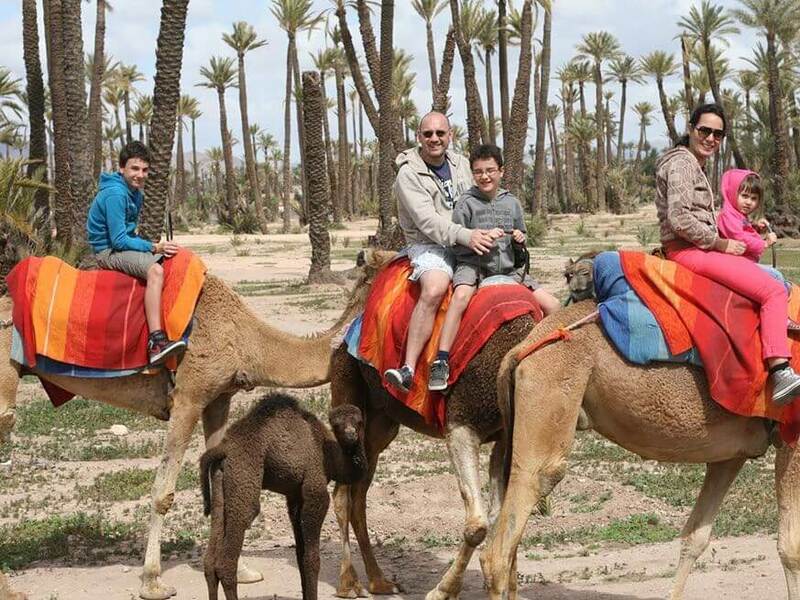 At the end of the camel ride in the desert oasis, our driver will take you back to the hotel in Marrakech or other location in the city.